I can’t believe January is over this week, I mean time truly does fly the older you get, holy smokes! One of the things I promised myself in 2019 was to really start enjoying more of my city outside of the fashion and food world. A few months ago I was able to attend my first Cocktails & Comedians show at Gingers and from the moment I sat down it was non stop laughter. Josh Nelson was the headlining act and I must have snorted, yes you read that correctly, at least 3 times. The only saving grace was that the crowd was busting up just as much as I was if not more! Not only is the talent of great quality but the food is equally something to talk about. I’m a connoisseur of chicken fingers and their beer battered ones are the absolute best you’ll find in all of Gaslamp. So when I opened my email and saw the return of this non-stop laughfest I had to immediately put it in my calendar. This particular time I’m a bit more excited because I’ve seen Dustin Nickerson before so I may have a little bit of a fan girl moment after the set. 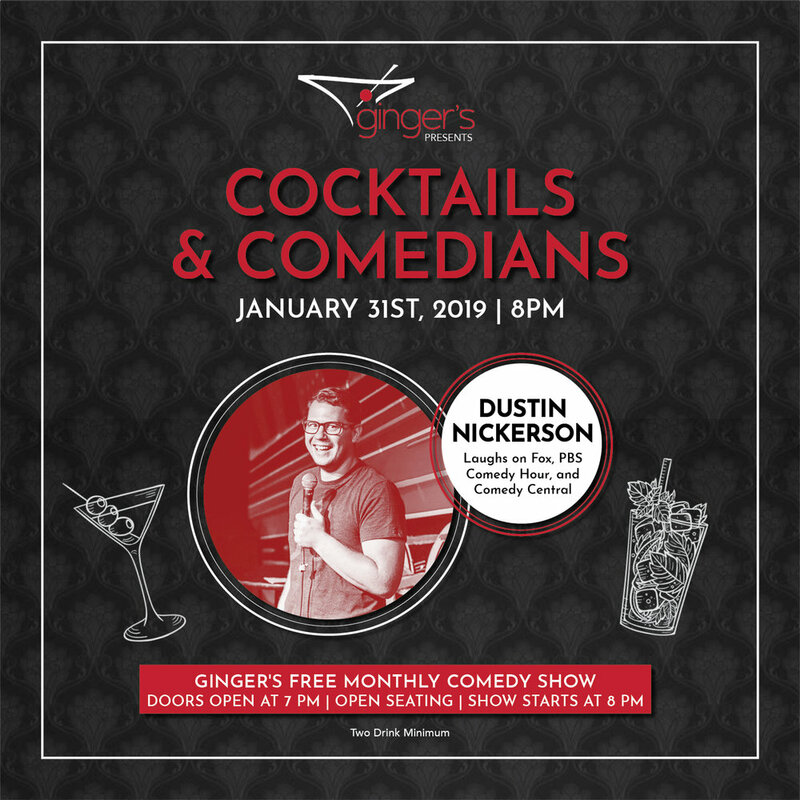 Let’s be honest, by the time Thursday rolls around we all could use an evening of satirical sketches, political puns, and two stiff drinks so what better place to have it than at Gingers? Hope to see you there.